I've mentioned here and there that we have an upcoming deployment on our hands. This is the first deployment for us, so we are navigating foreign territory and just trying to keep our heads above water. There is so much we have to do/prep for before he goes! As you can see, it's a short list. I really want to avoid car issues if at all possible, so we are trying to proactively make sure Parker takes care of any car-related maintenance. In light of this, I came up with a checklist of things I need to do to my car before he deploys. I figure it's better to be proactive than reactive! 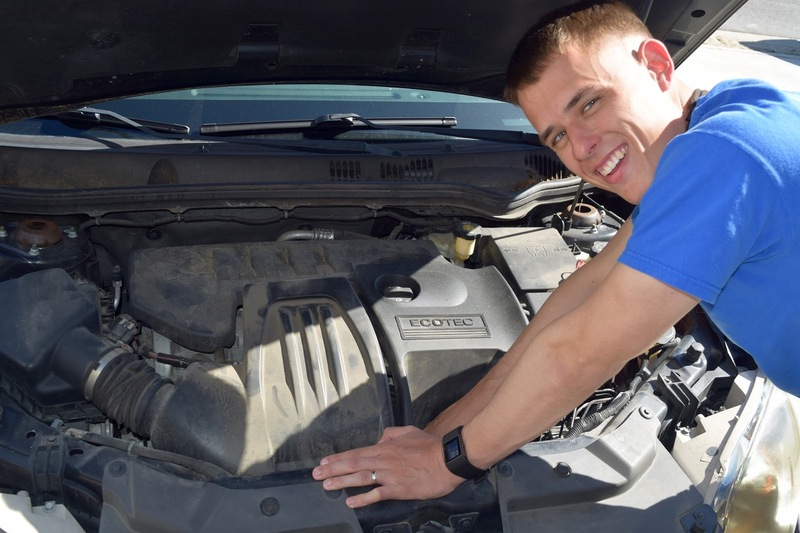 Raise your hand if you knew your car had an air filter that serves as the engine's first line of defense. I had no idea either, but I'm glad I figured it out! 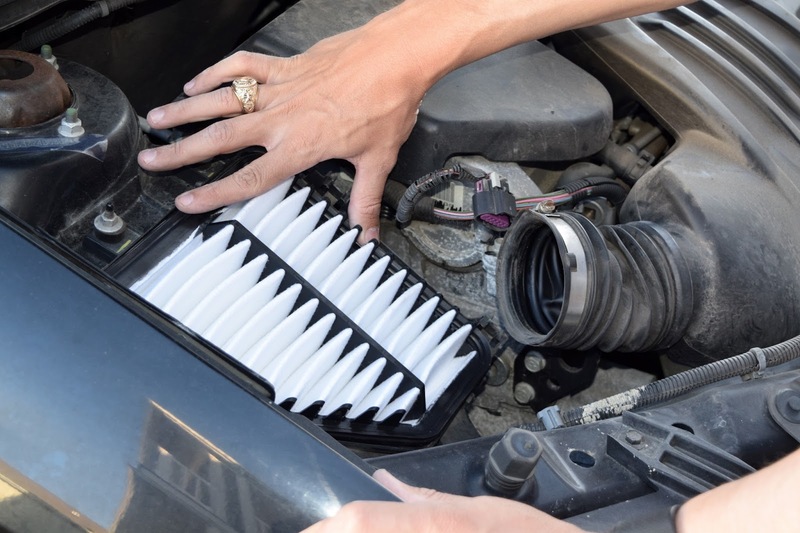 A clean air filter improves airflow while preventing dirt and dust from entering and damaging the engine. 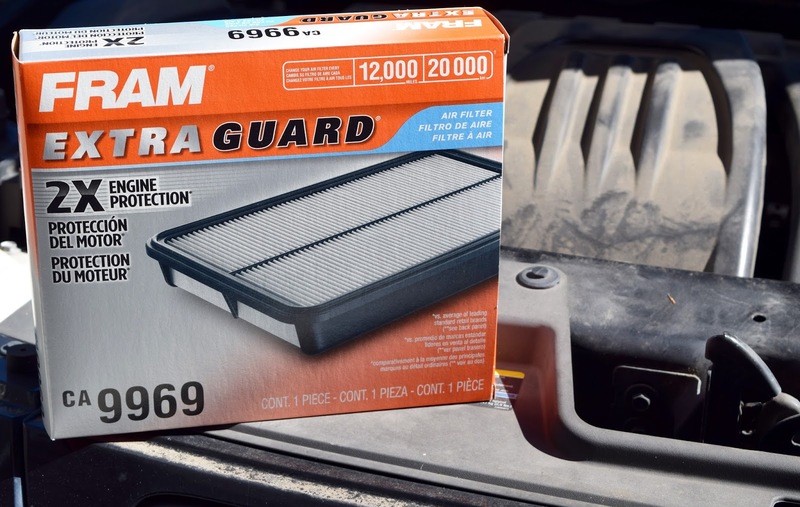 While at Walmart, Parker picked up the FRAM Extra Guard Air Filter that is specifically designed for the make/model of my car. 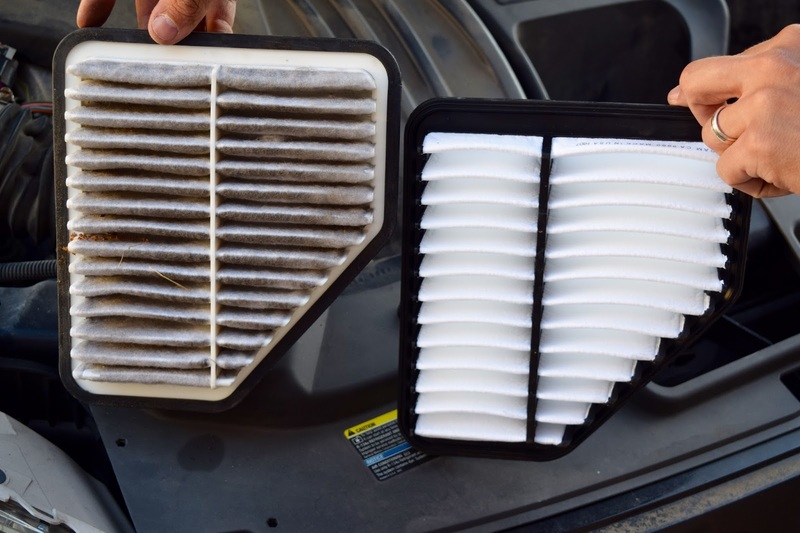 Dirty filters restrict airflow, which can contribute to decreased acceleration, horsepower, and reduced overall performance. 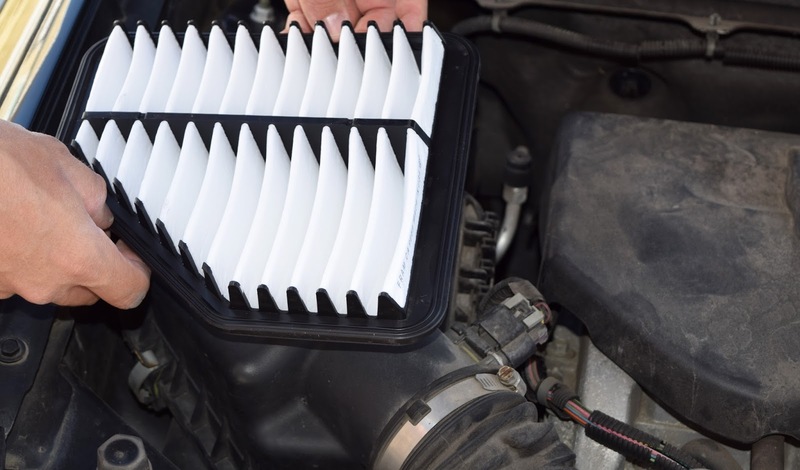 In the same way, a clean air filter can increase acceleration, horsepower, and improve overall engine performance. It was definitely an eye opener comparing my old filter to my new one. Eesh! It was super simple and took about 5 minutes to install the new filter. I located the FRAM Extra Guard Air Filter for my car at Walmart, Parker installed it, and I was good to go. Boom. Done. Change your air filter, folks! If your registration is going to expire before your husband returns, just go ahead and update it early. That way it's done and one less thing you'll have to worry about. Take your car in for an inspection. The mechanic will be able to tell you everything you need to do in the next few months or at least everything they recommend. If you're like me and have no clue what they're talking about and tend to feel like you're getting scammed, this is where your husband comes in. Having the inspection before he leaves means he can advise you what is necessary and what isn't. Get a fresh oil change before he leaves so you'll have a few months once he's gone before you have to worry about it again. The goal is to spend as little time at the dealership or mechanic as possible. This is another little thing that just needs to be done every once in a while. I like to rotate my tires and have my oil changed in the same trip to keep the hassle at a minimum. Rotating your tires keeps one pair from running out faster than the other pair, or so I am told. Again, I'm clueless! Those are my top 5! 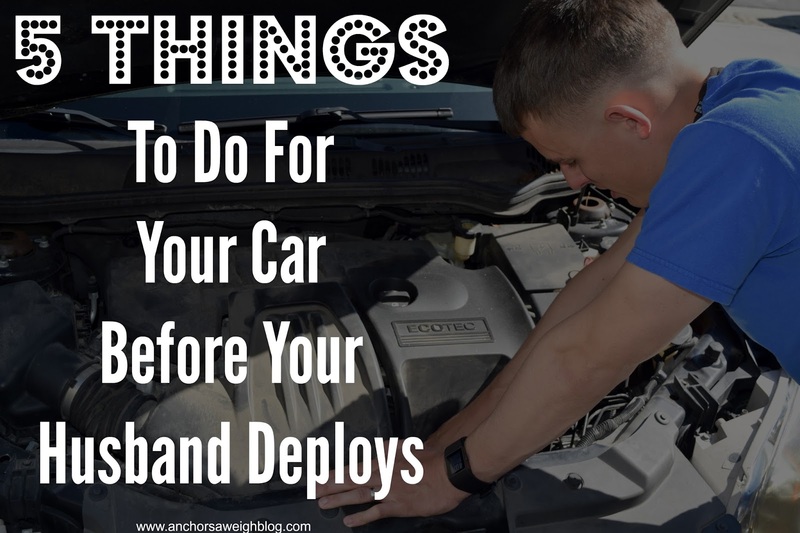 There are other proactive things you can do like change the wiper blades and give the car a thorough cleaning and wax, but these 5 are the things we are aiming to have done before he leaves. Ladies who have gone through deployment, I'd love to hear your car tips! 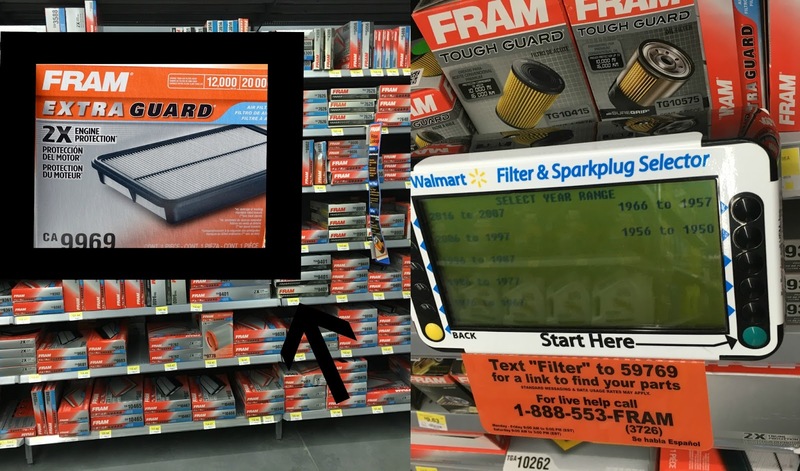 For anyone looking to get a jump start on car maintenance, stop by your local Walmart and pick up the FRAM Extra Guard Air Filter. Such a good idea. Car problems are seriously the worst, esp when you don't have a helping hand at home! It's always nice taking care of this stuff. I'm the one that handles all of the car maintenance in the house so it makes me feel better having stuff done. These are great tips! I'd add that you should totally do all of these things to HIS car too. And then drive it fairly frequently. My husband was gone for 6 months and came home to a dead battery. Whoops. I love this list! I'm the same way about my car knowledge-- except when I first got my license, I didn't even know how to pump gas! I've already warned Andy before he deploys we need to get my car and his truck looked at and all the big stuff out of the way because I know nothing about cars. This is great! I'm not a military wife, but my husband is a first responder and works 24 hour shifts. I've had THREE major car problems while he is gone and they are crazy! I also recently read an article in Readers Digest (#nerdstatus) that talked about how women are frequently charged for more by mechanics than a man taking the same car in for the same problem. So before he goes, I would suggest that he secures a trusted mechanic for you in case something really needs to be fixed. Or, find a trusted man-friend who would be willing to take your car in for you! Great tips! I am so thankful my husband knows so much about cars... he does almost all of our stuff at home. That said, when he's gone... I am CLUELESS. If you're keeping both cars, drive his car. Leaving gas in a car for an extended period of time without driving it isn't good. I would drive the car I wasn't using every week or so. Also, get the other car serviced. You won't have to go every 3000 miles, but you should get the oil changed depending on how long he's going to be gone. I have Tom do my inspections too. Too many times I have been overrun! My tip though while he is on deployment is to make sure you drive his car every once in awhile. It will stall out once he returns if you don't get it moving every so often. Military Mondays: Do Military Wives Have Ranks?